It was a rainy day in Mumbai when I was suppose to reach the venue on time. Luckily, I did manage to reach just before the pre-event snacks were just about to conclude. I grabbed my cup of tea and took a chair in the large and heavily illuminated hall of the 5 star hotel. The event was a new product launch which I was invited by the super gracious team of Blogadda but the product was kept as a secret. However, I saw huge launch banner with Nivea written all over it and it was evident that it was a product from Nivea. The catch here was that, since the entire room was filled with men, the product has to be related with men and soon I started my own guess. The event started with Mr. Animesh Gupta, Positive Conditioning Coach and Head of Training and Development at LimitlessEQ.COM. He kick started the event by dividing us in five groups and asking couple of volunteers from each group to smell some of the substances and relate it to a person you know. Of course, we were blindfolded so that we could not guess what the substance is. Everyone came out with unique answers. Some came out with a vegetable vendor, others like me came out with a guy out from the gym after exercising and so on. But, none came up with answers that were not filled with odor. 5. How to react when someone points out that you smell bad. But, there was no mention of any product while the interactive session kept me involved with our interest levels at its peak. 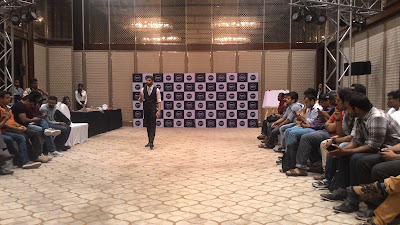 This was not only because of informative session but also because we all were awaiting for a Bollywood superstar. I guess, you all can now relate and guess the superstar. It is pretty simple. Then, here he was, looking smart and dashing in a casual and relaxed look. 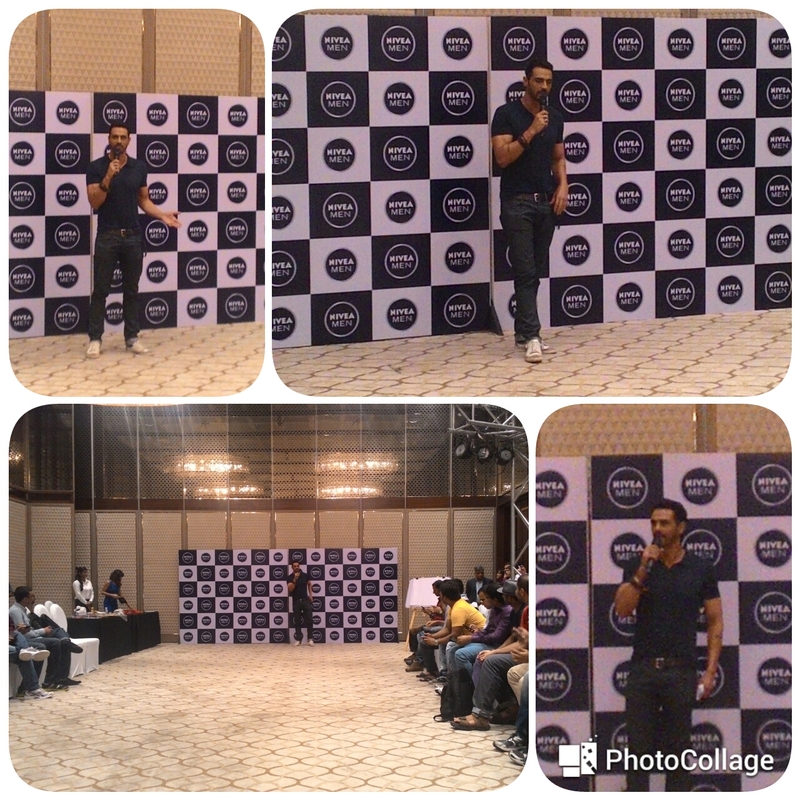 It was none other than Arjun Rampal, the brand ambassador of Nivea for the launch of the product. We all had guessed that the product would surely be a new Deodorant after discussing body odor with Animesh. He talked about body odor, how it feels working with co-stars having body odor and took questions from the blogger fraternity. He was there barely for few minutes and we parted for lunch. After having a delicious lunch, we were back where the hall was completely revamped with two huge screens, a dais and people from various media agencies were already seated. After some time, the product was set to be launched and they launched it with style. Mr Rakshit Hargave, the M.D. 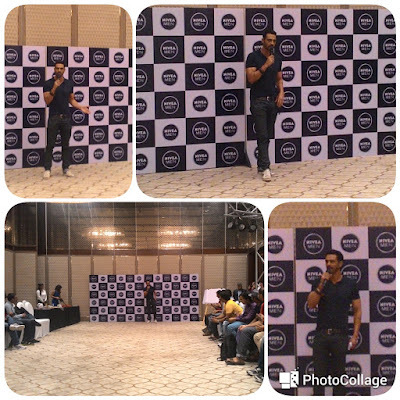 of Nivea India finally took the centre stage and talked about body odor, Nivea and the new product. After a while he showed us a hilarious video featuring Suresh Menon that had the audiences in splits. Post which the product was unveiled and it was none other than Arjun Rampal standing with a tall can of Nivea Deodorizer as he posed for the shutterbugs to have a bite for few minutes. He talked about the newly launched Nivea Deodorizer and how useful it is. He even emphasized that he is using all the products launched by Nivea and only then he recommends it and it is safe to use this newly launched deodorizer, a first in the segment. The launch came to an end with a Q&A session with many of the reporters got to ask questions to both the gentleman, Mr. Hargave and Mr. Rampal. Post which, he again stood for a pose and interacted with the media persons and left with a wave of hand. Overall, it was a great experience to be at a product launch of a brand that we all have been using since ages as our winter cream and to shake a hand with the star, Arjun Rampal. Also, to see the brand developing such great products which not only are skin friendly but also serves the purpose is something that makes each and every product a success for the company. PS: I have been using the product for 5 days and it is simply amazing. With a refreshing smell that lasts for a day and skin protection elements, the deodorizer is now a must use product for me. I attended the #SniffSniff product unveiling event by BlogAdda in association with Nivea.